Antwerp, Vrients, 1602, Spanish text edition. The northern Balkans, with Slovenia and Croatia, based on the map by Augustin Hirschvogel, 1565. The original hand colour is particularly fine, with the woodcut initial on verso also coloured. Amsterdam, c.1640. Latin text edition. 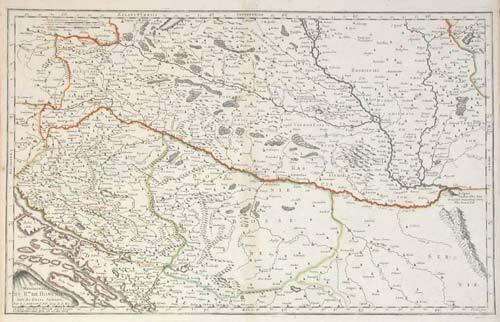 Map of the Balkan countries of Bosnia, Croatia & Slovenia, after Gerard Mercator. Paris, Pierre Mariette, c.1654. Map of southern Hungary, centred on the Danube. Also shown are Croatia and Bosnia. c.1700. The northern Balkans in classical times. Amsterdam, Schenk & Valk, c.1700. 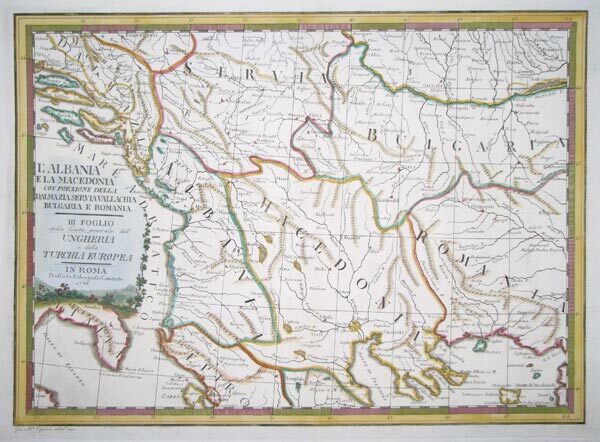 Jansson's map of Serbia, Bulgaria & Romania, with Istanbul marked on the right. For this state Schenk & Valk have added lines of longitude and latitude. Nuremberg, c.1720. Map of the Danube from Belgrade to the Black Sea, with Istambul in the lower right. 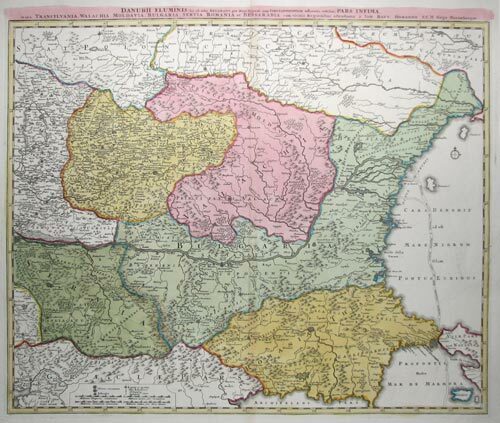 Rome, 1788. Albania and Macedonia, with parts of Croatia, Serbia, Bulgaria and Romania, with a decorative title cartouche. Cassini's atlas was not a financial success, so few examples were printed. Cologne, 1617. A view of Kostajnica, now Kostajnica in Bosnia & Herzegovina and Hrvatska Kostajnica in Croatia, separated by a bridge over the river Una. The town was taken by the Ottomans in 1556 and was occupied until 1687, although Braun's commentary here tells of the brief liberation of 1594. Basle, c.1590. Concentrating on the city defences. With a galley in the foreground representing the Turkish threat. Paris, c.1804. Chart of the Bay of Kotor, with Kotor, Herceg Novi and Budva marked. Padua, Lasor à Varea, 1713. View of Belgrade. Basle, 1575, Italian edition. 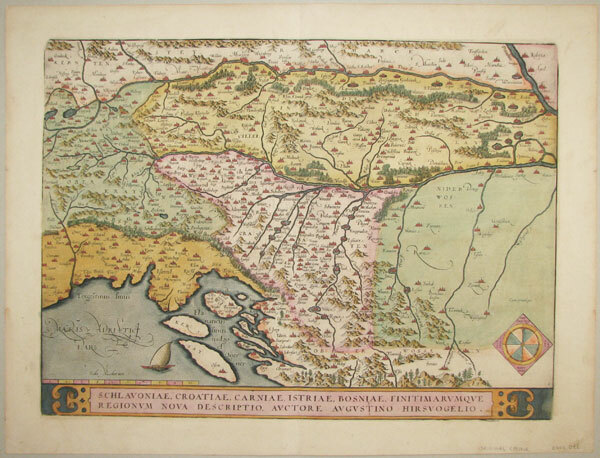 Early map of Slovenia.